← we wear the masques! Heehee, I can’t help drawing them again. Sansa is running back to her room after her first meeting in the godswood with Dontos, and who should just happen to pop out of a hidden door…? Characters © George R.R. Martin’s A Song of Ice and Fire and HBO’s Game of Thrones. Okay, how gorgeous is this? Totally gorgeous. I want her hair, for one! 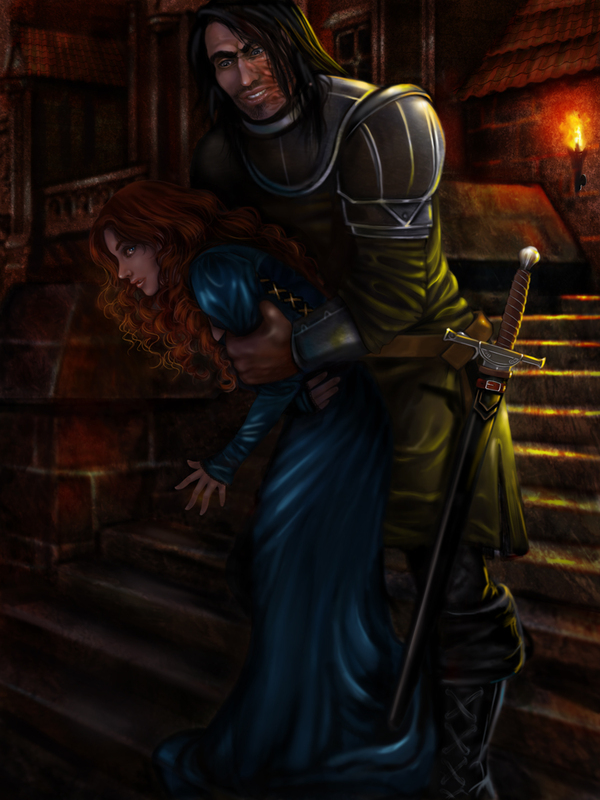 I love it that Sandor doesn’t look mean, too. Very atmospheric. Yeeeeeeee! Thanks for always appreciating my unabashed love for SanSan haha.